The removal business is major in the city of London, and with over ten million people living in the capital today, it’s vital that there are quality removal services for those who need them. Man and Van to is among the front runners of removal companies London customers can call on for simple but effective moves within the city, and we offer the most reliable and handy man and van removals that individuals and businesses alike can make use of. Our customer service team would be happy to help and advise you if you contact us on 020 8610 9265 and we can give you a range of options regarding our man and van removals, setting our service up to suit your needs and aims. Many people move house every day in London and almost as many people move to and from apartments and house shares. Whilst not all removals require a large team of movers, or a particularly substantial moving truck, it’s very difficult moving all your belongings alone in London and many people are looking for an extra pair of hands or for a vehicle that can accommodate their personal possessions and smaller furniture items. If you ring us on 020 8610 9265 we’ll quote you for an hourly man and a van to take you and everything you own from one home to another. Similarly, many businesses need moving services in London and not all businesses are the size of city banks and multinational distributors. Our moving services in London are ideal for smaller and medium sized businesses that want a quick but cheap method of moving offices or moving into and out of commercial premises in the city. We can provide you with a basic man and van or a larger team depending on what level of moving service you need and we offer very affordable rates for commercial customers. Our company is also able to provide ancillary services to help customers deal with the many complexities and pitfalls either side of moving day. Having sufficient storage space is one of the many issues encountered by movers and our company can provide you with suitable storage units in London along with the means to get you there – a man and van available whenever you need it. Full insurance and security come as part and parcel of any moving and storage deal you obtain via our removal company as you’ll discover if you ring and book with us on 020 8610 9265. Another fairly important aspect of any move is packing and unpacking. Not only can this be time consuming and rather stressful for house and office movers but it is also difficult to do without the basic materials! 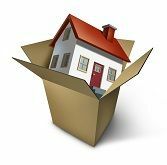 Our removal services typically feature provision of necessary packing materials and that includes, but is not limited to, cardboard boxes, plastic boxes, plastic and rubber binding, clear plastic, tissue paper and bubble wrap. For home owners moving settees we can procure furniture covers and for clothes, temporary box wardrobes are also available. Our packing team can help you pack everything up safely if you need it and our movers are well versed in the art of stacking boxes safely in our removal vans to make sure nothing is damaged en route to your new home. Moving is so simple in London with Man and Van to there to help you. A basic man and van can go an awfully long way in the capital and it is the cheapest way of moving to a new home whilst you are busy working – call us today on 020 8610 9265 for a free quote and we’ll do the rest for you. Description: We offer various removal services in order to make your moving easier – book man and van service, small move services or else!